Encounter Lutheran College invites prospective families to book a personal tour of our College with the Principal Kelvin Grivell. This is an informative way of experiencing “first-hand” what we offer our students and families and the “community-feel” of our College. We have major intakes into our Early Learning Centre, Reception, Years 7, 8 and 10 with limited vacancies available in all other year levels. Applications to enrol your child at Encounter can be submitted at any time. We encourage early applications to increase the likelihood of securing a place for your child in your preferred entry year. This will incur a $50 application fee. Upon the receipt of your child’s application, an interview will be arranged with the Principal or relevant Head of School. A formal written offer of enrolment will occur and will only be confirmed upon receipt of the applicable completed documentation and the payment of a $250 enrolment deposit. To obtain an Prospectus Pack please click the “Contact Us” link below. It has been Encounter’s focus to ensure that our fees are kept at a reasonable level while endeavoring to provide quality facilities and resources for the students who attend the College. We believe that whilst we maintain a reasonable level for our fees, we are continuing to develop and grow the facilities of our R-12 College, meeting the demands of a growing College and the requirements of new buildings and new resources. Upon enrolment of their child(ren), all parents/caregivers enter into a contract including an Agreement to pay the fees and Encounter continues to develop a variety of payment arrangements to assist our families. Direct Debit is the most popular, however Credit Card and Centrepay are all acceptable methods of payment. Please refer to our Fee Policy for detailed information in this area. Bus Services from Mt Compass to Encounter Bay and Port Elliot to Goolwa are available through the College utilising the services of Goolwa Bus & Coach, who have been providing services to our local communities for over 27 years. The coach is air-conditioned and seat belted. Please see the attached Bus Timetable and Prices offered through the College.There is also the LinkSA Community Bus available to our students for travel to the Victor Harbor area and connecting services. 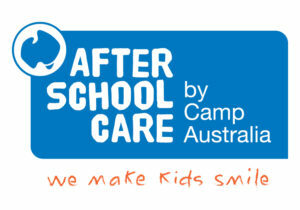 We are proud to partner with Camp Australia to provide our Outside School Hours Care and Vacation Care programs. To find out more about these programs, including hours of operation, fees and how to register please click on the following link. The Parents and Friends of Encounter Lutheran College play an important role in our school, organising fun events for the students and their families, assisting at school events and raising money for projects around the College. Each year our P&F compile a Business Directory in support of our families and their businesses.We hope that you find the Directory useful when you are in need of goods or services that are provided by those businesses that have chosen to support this fundraiser. The Encounter Lutheran College Uniform is compulsory. College colours are Cardinal Red, Navy Blue and White. All Uniform including School Bags and Accessories (excluding shoes) must be purchased from the College Uniform Shop.